As of May 2011, 38% of mobile phone users were using smart phones. 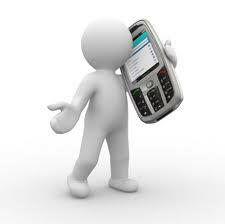 It is predicted that by 2016, 50% of mobile phone users will be using smart phones. Obviously, the number of smart phone users is increasing. The number of apps and uses for the cell phone will also be increasing, which makes them more and more attractive to a wider audience. Are you planning on still being in business in 5 years? Chances are, even if your market is not actively using mobile today, they will be soon. Now the question is: do you wait on your market to change and risk them passing you by for someone who was better prepared? Mobile Marketing is where your customers are going so you should be there too. Register for the Mobile Marketing Seminar that will be held on August 23rd from 1 – 4 at the Donald W. Reynolds Library in Mountain Home, Arkansas and find out how you can leverage mobile marketing for your business! Previous post: A Little More . . .
Next post: Chicken or Egg? Technology or Market?